The weather here in New Jersey has been too good. Its almost like mother nature is playing a little trick on us before it starts dumping mountains of snow. No matter the weather though, I’ve found that a good cape is perfect for layering for warm and chilly days. Plus it transitions perfectly into winter. You can wear a thick sweater underneath, or cool off with a simple long sleeve tee. Its the perfect holiday gift, or even as a gift to yourself. I hope you all are enjoying your week! Happy Thursday! Love your cape. So trendy! 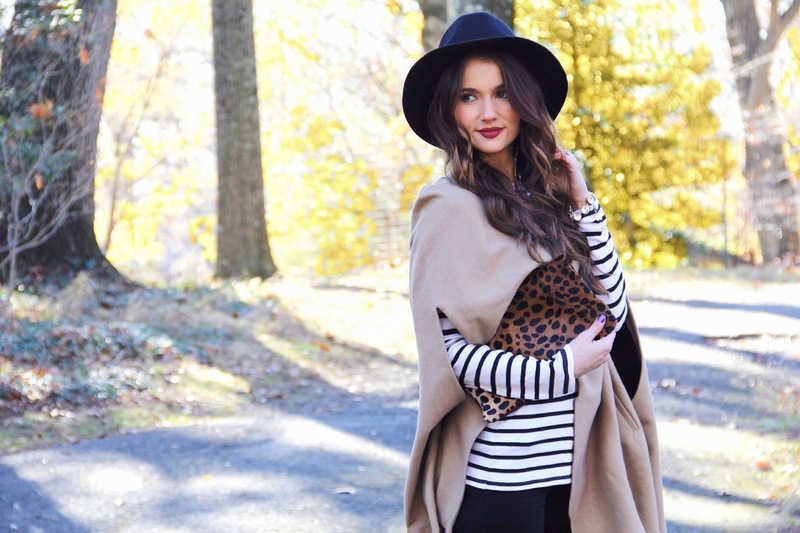 Loving the stripes and leopard print together! This is totally something I would wear! Love that cape.